Diatomaceous earth (DE) Fossil Shell Flour has been reported in scientific literature to absorb methyl mercury, E. coli, endotoxins, viruses (including poliovirus), organophosphate pesticide residues, drug residues, and protein, perhaps even the proteinaceous toxins produced by some intestinal infections. Pyrethroid insecticide residues probably also bind to diatomaceous earth, since pyrethrins from Chrysanthemum flowers bind to and are stabilized by this material. The only brand of pure DE currently recommended is from Flea Free Orgaically.com. 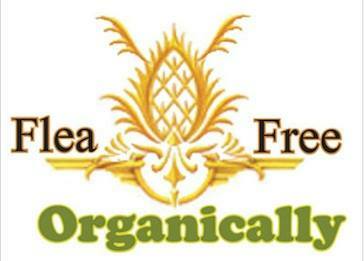 Flea Free Orgaically.com Fossil Shell Flour has been approved by the FDA (as a 2% by dry weight food additive, as an anti-caking agent, or as a grain storage additive). Other Uses: – mix DE with water to make a paste to instantly stop itching from bug and bee bites! This works better than any “anti-itch” formula we have tried. We now carry a superior DE. It is so superior it is referred to and Nutritional DE and is one grade above food grads. It is finer and cleaner because of the pristine areas in which it is mined. It also has about 30% more calcium bentonite. It is not readily available in the US yet but if you do find it, you will know it by its grey color. Thanks to the FDA, we can make no such claims; we can state that our product is GRAS (generally regarded as safe) for human consumption. In addition, it is Certified Organic by OMRI. This is for the white DE mined in the U.S.
Diatomaceous earth (DE) has been reported in the scientific literature to absorb methyl mercury, E. coli, endotoxins, viruses (including poliovirus), organophosphate pesticide residues, drug residues, and protein, perhaps even the proteinaceous toxins produced by some intestinal infections. Pyrethroid insecticide residues probably also bind to diatomaceous earth, since pyrethrins from Chrysanthemum flowers bind to and are stabilized by this material. The only brand of pure DE currently recommended is from Flea Free Organically.com, If there are other DE products out there that have already been approved by the FDA (as a 2% by dry weight food additive, as an anti-caking agent, or as a grain storage additive), let us know and we will subject it to rigorous chemical and morphological testing to ensure that it is safe. Dust from diatomaceous earth products, especially those that contain high amounts of crystalline material, should NOT be inhaled. DE Fossil Shell Flour is amorphous (non-crystalline) and is Generally Regarded As Safe (GRAS), but as an extra safety precaution the dust should not be inhaled. Since it appears to pass inertly through the digestive tract, releasing only a few trace minerals, decide for yourself what dose works well, bearing in mind that taking large amounts may have some very uncomfortable effects. “DEtox “-ing one’s system too quickly might not allow enough time for one’s metabolism to re-balance, creating discomfort known as a “healing crisis”. This discomfort may be nothing more than inflammation caused by a reawakening immune system as it detoxifies and begins to attack previously unadressed chronic infections. Working up the amount slowly from about a teaspoon to a rounded tablespoon over a few days or weeks may help to avoid this situation. A heaping tablespoonful, as much as we recommend, in water before bed or first thing in the morning, if one doesn’t normally eat an early breakfast, will allow the DE time to move through and absorb toxins from one’s digestive tract without interference and without absorbing nutrients from foods or liquids. The use of MINERAL SUPPLEMENTS, with major concerns about known toxins in some colloidal products, should be considered when DEtoxing, especially in children with chronic health problems. Adults have more mineral reserves, such as calcium and magnesium, in their bones than do children who are actively growing bone and body mass. We are investigating various supplements for safety (toxic metal levels) and for their ability to restore any minerals diminished by the DE tox process. The author used MediTrend’s Progena® SuperMins (1/day) to help restore minerals depleted during his DEtox . Although SELENIUM is a nutrient and supplements of up to 200 micrograms/day can help to precipitate toxic metals, its use as a nutrient is probably more important than its ability to temporarily buffer toxic metals. Using selenium in a DE tox program makes some sense if environmentally exposed to high levels of toxic metals or if extremely toxic. A “multi” may not provide adequate amounts, so check the label. Individually, DIATOMACEOUS EARTH , PANTOTHENIC ACID, L-CYSTINE, and OLIVE OIL have been shown to lower high cholesterol while often also lowering triglycerides and LDL cholesterol, and raising HDL cholesterol. With these positive changes using the individual nutrients, imagine what can be accomplished if all of these are made part of our daily nutritional program. Note: Upon rising take a tablespoon of good organic Olive Oil , a tablespoon of lemon juice and a tablespoon of Cider Vinegar (with mother) and drink that down before breakfast. To help correct high blood levels of the thyroid hormones and thyroid glands that are just swollen, consider the following: a) getting consistent adequate sleep in the dark and perhaps even using melatonin supplements, b) avoiding exposure to substances containing Triclosan-like chemicals, and c) supplementing with IODINE (up to 150 micrograms/day) or eating more dietary KELP and SEAWEED products. Remember, it’s OUR choice as to how WE pursue good health practices. PROGESTERONE, topically-applied, is the natural ‘ONE. It is probably more than coincidental that women who normally produce enough progesterone are protected against 90% of all cancers. This hormone increases levels of vitalethine’s monooxygenase receptor. Unlike the progesterone from which it is made, testosterone suppresses the monooxygenase receptor for the vitaletheine modulators. For optimum health, men also may have to get more in touch with their “feminine sides”. Unfortunately, using progesterone correctly as a supplement can be tricky, depending upon one’s menstrual and hormonal status. ProgesTINs are not the ‘ONEs we need to reduce our risk of cancer! The ‘tin ending indicates a synthetic, not the natural progesterONE. For youngsters, the use of diatomaceous earth with mineral supplementation may be helpful in dealing with specific chronic or intractable problems, but under normal circumstances, just protecting children from toxic exposures and providing them with adequate nutrition should be all that is necessary. Many of the chronic ills associated with aging can easily result from a lifetime’s accumulation of environmental toxins, exacerbated by nutritional deficiencies. Eat clean, whole (unprocessed), and even organic foods for best results.